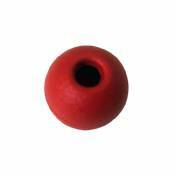 These parrel bead stopper balls are UV stable and impact resistant. 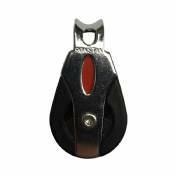 They measure 16mm across, have a center hole diameter of 4mm, and the maximum rope size is 5/32 inches. 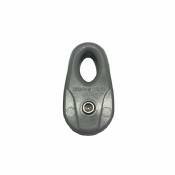 Ronstan Pulley used on larger foil snow sites as well as Naish Kites. 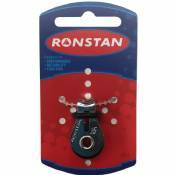 Ronstan pulley used on larger Snow Kite Foils and Naish Kites. 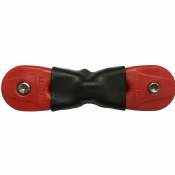 Replacement Double Pulleys which are used on some of the top brand Kite companies like Cabrinha and Slingshot. 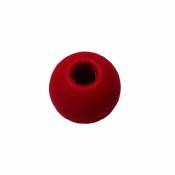 These parrel beads are uv stable and impact resistant. 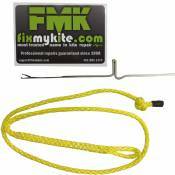 Maximum rope diamenter 3/16".